The FDA Recently Validated a Continuous Manufacturing Pharma Process Line—What Do You Think This Means for the Future? Roundtable participant’s speak with Nice Insight & weigh-in on the future of product processing after the FDA’s validation of a continuous manufacturing process line. Q: With Respect to Supplier-Partner Relationships, What is Your Preferred Collaboration Model? As biopharmaceuticals continue to grow in popularity and biosimilars become more commonplace, research and development in sterile drug production will evolve. More than 500 companies are involved in cell therapy technology, while the market for gene therapy is predicted to increase to over $200 billion. Many companies implement redeployment programs within their manufacturing networks. Often, the same makes & models of equipment are used in different facilities. Successful process validation cannot be achieved unless manufacturers thoroughly understand their processes & the impact of process variations on product quality. 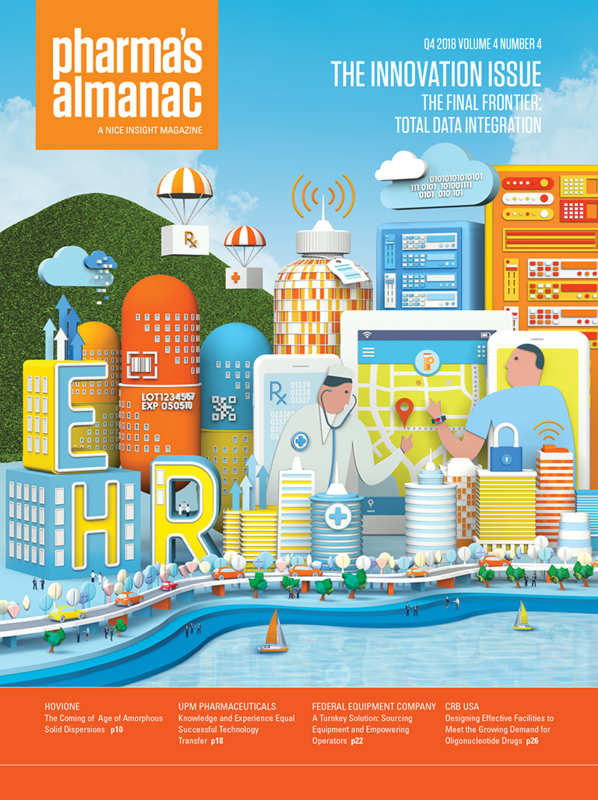 Pharma manufacturers are turning to technology and systems suppliers for technological expertise that once was held internally. Nice Insight asks industry leaders, “What have you found to be the greatest benefit from close collaboration partnership models?” How close is too close? In Close Supplier-Partner Relationships, What Pitfalls Do You Try to Avoid? How Close is Too Close? Equipment suppliers are increasingly important to drug owners and developers, as are their perceptions of companies who can help them achieve their goals. Inline buffer dilution (IBD) has been recognized as a game changer and a highly optimized solution to a critical processing step. Pharmaceutical companies are increasingly turning to equipment suppliers for forward-thinking solutions, novel equipment and process technologies. A number of enzyme replacement therapies (ERTs) have been launched, or are currently in development, with ongoing investment in rare disease treatments anticipated. Many conventional CMOs have actively pursued acquisitions and internal investments, some funded through initial public offerings, in order to become CDMOs. 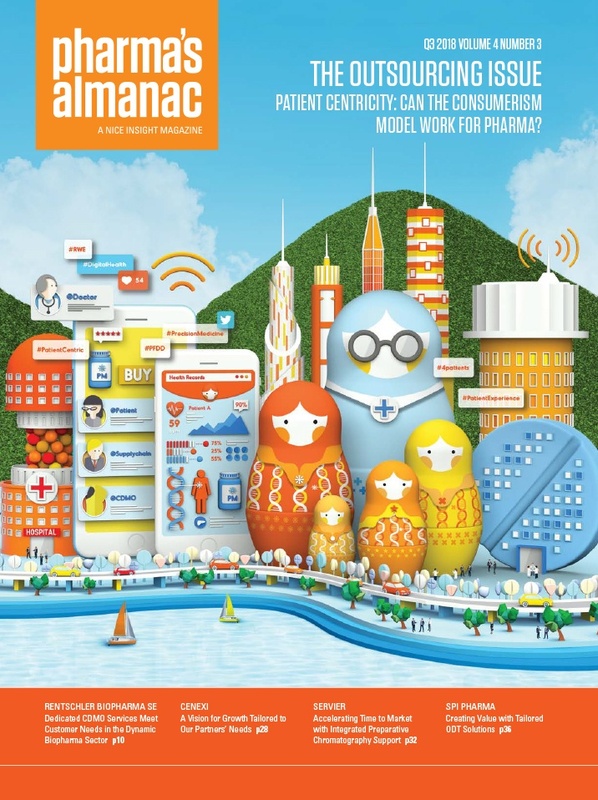 Pharma 3.0,” “Next-Gen Pharma,”“Future Pharma” — contract service providers are redefining their mission and reframing their strategic roles with customers. The QbD concept has been widely adopted as a standard of practice for manufacturers, including those in the automotive, electronics & chemical processing industries. Increasing cost pressures and the move toward value—or—evidence-based medicine is placing pressure on pharmaceutical companies to be first to market. A research-driven positioning project for Cenexi focused on growing equity with a more memorable aesthetic and messaging aligned to market needs. Q: When it Comes to Processing, What Technology Will Have the Most Impact on Pharma Processing Over the Next 10 Years? Nice Insight asks industry leaders what technologies will have the most impact on pharma processing over the next ten years. 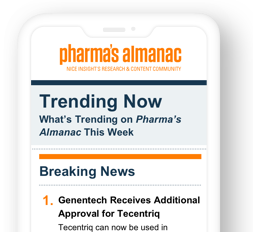 Pharma’s renaissance is being driven by more focused spending, smarter approaches to the patient & more effective quality strategies for proactive compliance. Largely due to its low profit margin, pharmaceutical companies often rely on contract manufacturing to achieve economies of scale, especially for small-molecule APIs. Pharmaceutical development is growing as the industry gains momentum in response to a broad range of market, regulatory and social trends globally. 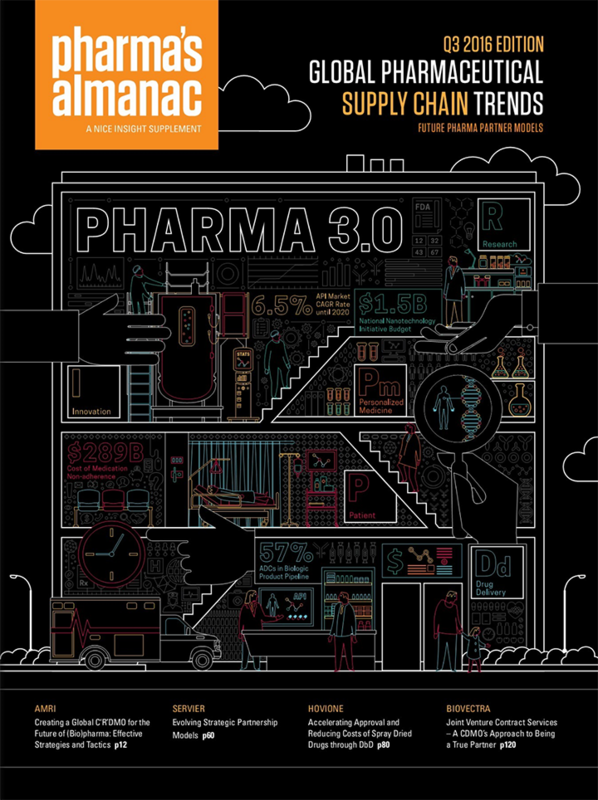 The ability to track and trace pharmaceutical product in the distribution channel has always been a regulatory imperative; those regulations are evolving. Contract packaging firms that offer low cost, timeliness, flexibility combined with assured high quality, can add real value by providing solutions. Offering potential exclusivity & access to larger markets, reformulation efforts can prove extremely valuable to pharmaceutical & biopharmaceutical manufacturers. Reliance on contract service providers is increasing in the industry as drug makers seek to increase efficiency, productivity & advanced technologies. Effective application of its Development by Design (DbD) approach has enabled Hovione to accelerate spray drying development, reducing cost & time to patients.